Real time open ended improvisation on unfinished musical material through random choices. 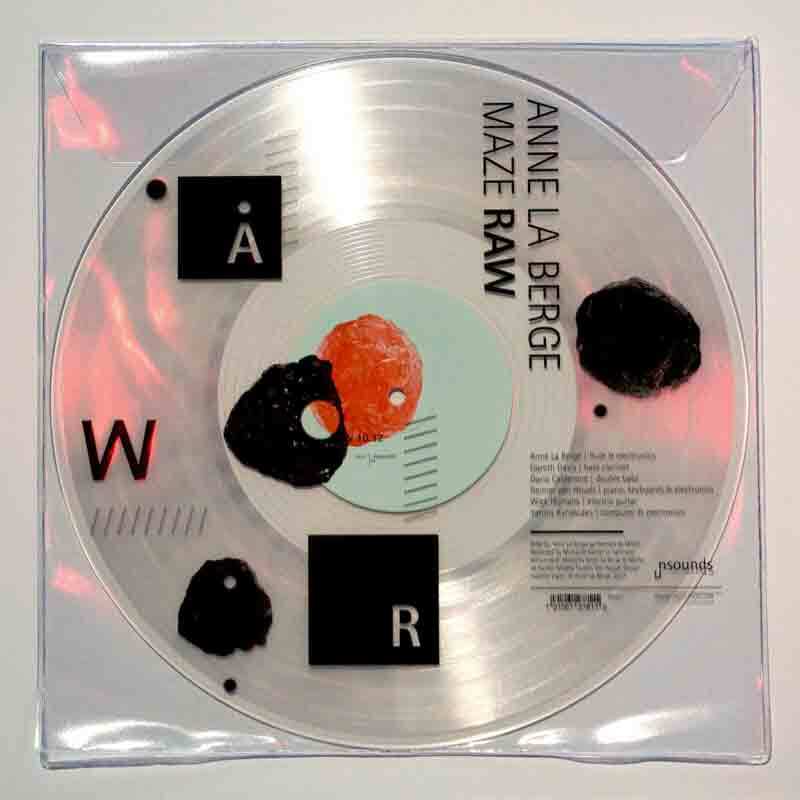 Anne La Berge, avant-flutist, improvisor and composer has written a thoroughly contemporary, open ended work for ensemble and electronics made up of fragmented gestures and shards of skeletal speech. Ensemble MAZE is performing the piece which was recorded live at Splendor in Amsterdam, The Netherlands. In RAW the musicians are invited to work on unfinished musical material, and to collectively create a work in real time, as they are given ongoing random choices. For this new interactive work Anne La Berge has written a Max patch allowing each player to influence the development of the piece by sending a message to the patch at his or her own discretion, by means of a touch on a tablet screen. The patch reacts in turn and 'chooses' the next combinations of players, types of music to play combined with play back or pre-recorded text samples. As Gareth Davis's bass clarinet folds itself around jarring loose piano notes from Reinier van Houdt, electronics by Yannis Kyriakides divide and conquer the sound image that ensemble MAZE fills out with Dario Calderone's double bass, electric guitar (Wiek Hijmans) and flute (La Berge herself). The players follow calls and take cues in an unending whirlwind of cause and effect. Pure and raw timbres collide with processed materials, questioning the way in which the ear finds or loses familiarity with musical idioms. The piece cuts through worn musical habits and jettisons both audience and players back and forth squarely and simultaneously to point zero & point omega. To go even beyond that with music is where the fiery spirited and elemental heart of RAW lies. Anne La Berge’s career as flutist/improviser/composer stretches across international and stylistic boundaries. Her performances bring together the elements on which her international reputation is based: a ferocious and far-reaching virtuosity, a penchant for improvising delicately spun microtonal textures and melodies, and her wholly unique array of powerfully percussive flute effects, all combined with electronic processing. 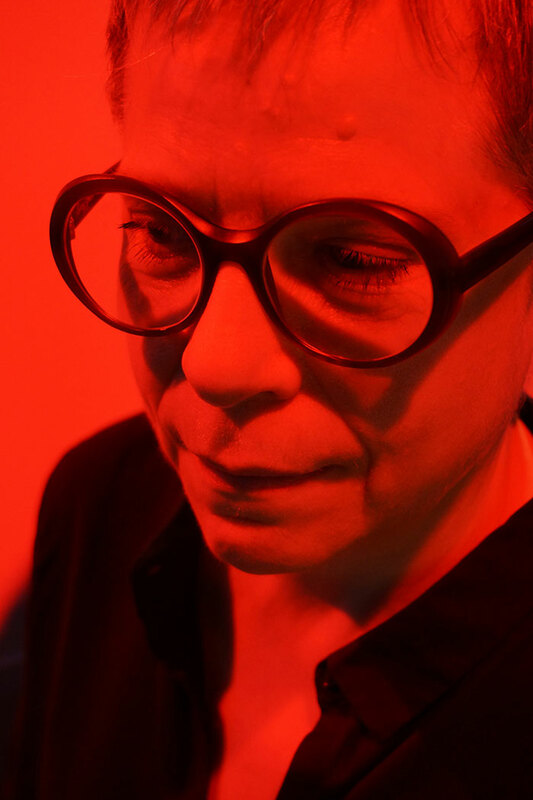 Many of her compositions involve her own participation, though she has produced works intended solely for other performers, usually involving guided improvisation and text. She also uses these compositions that work with a flexible combination of imposed musical situations and electronics where performer/improvisers are an integrated part of the music making process as material for workshops and masterclasses. MAZE is an electroacoustic ensemble dedicated to performing music that challenges the idea of fixed form and a fixed listening perspective. Encompassing repertoire from the experimental tradition of John Cage, Alvin Lucier, and Robert Ashley up to the contemporary work of artists such as Christian Marclay, Elliott Sharp and ensemble members Anne La Berge and Yannis Kyriakides, MAZE is building a body of work that reinterprets the relationships between performer and music, and audience and performer. With Anne La Berge, Gareth Davis, Dario Calderone, Wiek Hijmans, Yannis Kyriakides.